Terry O'Neill is an Albany, New York-based public affairs consultant and freelance writer who focuses on public safety issues. He is the son of a Connecticut State Trooper, the grandnephew of Irish immigrants who served municipal police agencies in Connecticut and the great-grandson of Constable William Stephens of Stradbally, County Waterford, who retired from the Royal Irish Constabulary in 1903. Mr. O'Neill is a graduate of Marianapolis Preparatory School of Thompson, Connecticut, where he concentrated on Classical Studies. He studied Western Civilization at Providence College, earned a Bachelor's degree in English Literature from the University of Connecticut and read Law at Albany Law School. Mr. O'Neill is a Vietnam Era veteran of the U.S. Navy and takes pride in a family tradition of voluntary US military service that began with his grandfather Daniel O'Neill, a WW I veteran of the 69th New York Regiment -- the Fighting Irish -- his father Joseph (USN) and two uncles James (US Army Air Corps) and Daniel (USA) who served with great distinction in World War II. James, a crack aircraft mechanic, kept sixty warplanes flying over Nazi forces and after the war kept planes flying in a historic airlift of Jewish refugees to Palestine. In over twenty-five years in public affairs in Albany, Mr. O'Neill has specialized in the legislative process and in issues affecting public safety, drug policy, crime prevention, community policing, restorative justice, judicial reform and law enforcement administration. His involvement in a number of major police organizations and in campaigns for legislative initiatives targeting organized crime, drug trafficking and community crime prevention have enabled him to develop a far-flung network of contacts in law enforcement and academia. Legislative initiatives undertaken by Mr. O'Neill beginning in 1992 have cumulatively generated over $100 million in investment to the benefit of the state and people of New York. Mr. O'Neill's career in public affairs began when he became Counsel to New York State Assembly Assistant Speaker Edward Griffith in January 1984 Mr. Griffith, a native of Panama, represented the distressed and neglected 40th Assembly District comprised mostly of the East New York section of Brooklyn. The experience gave Mr. O'Neill valuable insight into the needs and concerns of the people of New York's inner cities. He was especially impressed by the powerful and positive role played by the religious leaders of small congregations in such communities. In 1986, Mr. O'Neill joined the New York State Division of Criminal Justice Services as a legal advisor to the state's municipal police executives on matters relating to human and civil rights. From 1988 through 1994, he was frequently consulted by the Governor’s office on law enforcement and crime prevention issues. He was involved in drafting and negotiating major legislative enactments improving police administration and enhancing the statutory framework for waging the war on drugs and violent crime. In all the years since his first introduction to New York's law enforcement community, Mr. O'Neill has been an advocate for the most progressive and community-oriented innovations in public safety, including community policing, alternative sentencing and restorative justice. In 2011, the Buffalo Common Council appointed him to a commission to consider reorganization of the police department serving the state's second largest city and turning it into a neighborhood policing agency. Mr. O'Neill's work and his interest in promoting community justice also took him into the field. In 1990-92, he represented the State Director of Criminal Justice in responding to communal violence that had broken out on the St. Regis Mohawk Indian Reservation. With a Canadian colleague, Mr. O'Neill organized a task force of New York, US, Canadian and Mohawk police and native affairs agencies serving the reservation to work toward the creation of an indigenous comminty police service for the Mohawk Nation. At the same time, he served on a state negotiating team that led to state/tribal casino gaming compacts that have brought unprecedented prosperity to the Oneida and Mohawk Indian Nations. Throughout the 1990s, Mr. O'Neill traveled the nation with Tom Constantine and the New York State Association of Chiefs of Police conferencing with colleagues from around the world under the auspices of the International Association of Chiefs of Police. These travels exposed him to cutting-edge public safety strategies and programs. In 1993, Mr. O'Neill introduced Triad, an IACP-sponsored program of enhanced police service to the elderly, to New York. He also drafted legislation, signed into law in 1998, that has begun the process of developing a police specialty known as Elder Service Officers. Mr. O'Neill has, over the years, served pro bono as Counsel to a variety of community service nonprofits including the Mid-Hudson Crime Prevention Association, the Capital District Coalition for Crime Victims' Rights, the Russian-American Kids’ Circus, Lydia's House, Inc., House of Forgiveness, Inc. and Millenium Reign, a faith-based organization that educates inner-city young people about the dangers of HIV/AIDS. In April 2012, Mr. O'Neill was recognized for years of pro bono service to crime victims's advocates by being awarded "The Unsung Hero Award" by the New York Crime Victims' Assistance Task Force. Mr. O'Neill is an advocate for children and in 1990 worked on legislation creating a training program for police Juvenile Officers. In 1994 he suggested legislation that created a fund to enhance public education and prevention programs to combat child abduction and exploitation. Subsequent amendments to that law have resulted in a revenue stream of $300,000 a year for this fund. In recent years, Mr. O'Neill's interest in Swedish language, literature and culture has led to a relationship with Mentor International, an international youth anti-drug abuse program founded by Her Majesty Queen Silvia of Sweden in 1994. 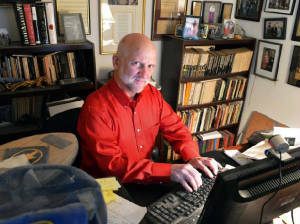 In 1999, Mr. O'Neill helped Doug and Mary Lyall, parents of Suzanne Lyall, a State University of New York student who disappeared in March 1998, win passage and enactment of the College Campus Security Act which creates a framework for cooperative investigation of serious crimes reported on college campuses between campus security and local law enforcement agencies. Also in 1999, Mr. O'Neill teamed up with John Myers of Saratoga Springs to begin what turned out to be a more than decade long effort to enact the Dignity for All Students Act (DASA), landmark school anti-bullying legislation that took full effect in July 2012. The campaign to enact this legislation ultimately brought together a coalition of some two hundred organizations representing students, parents, teachers, school administrators and advocates for children. 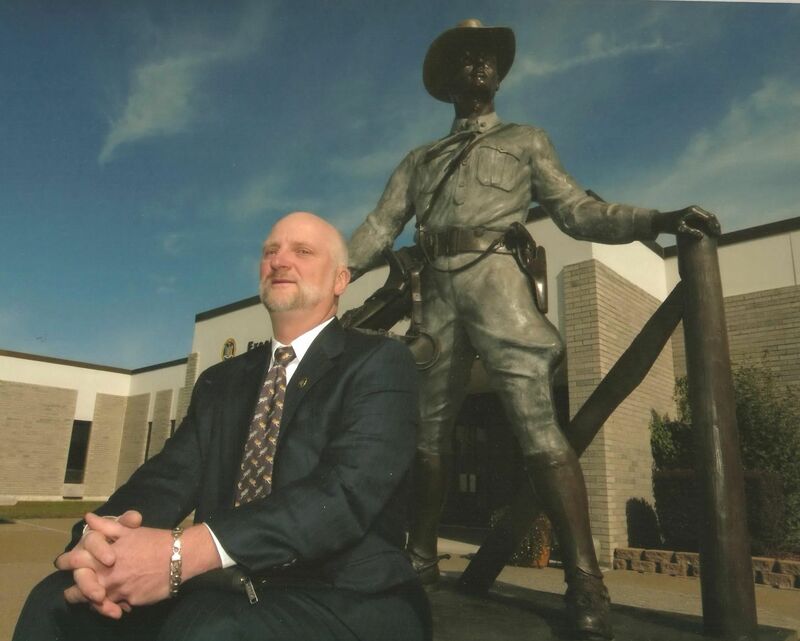 Mr. O'Neill also joined a group of retired Troopers in the 1993 campaign to create a privately-funded monument -- the Gray Rider -- to members of the New York State Police. In 1998, he helped retired and disabled New York State Trooper Paul A. Richter get a law enacted that has since raised more than $70 million to fund research to find a cure for spinal cord injury paralysis. Mr. Richter had been feloniously shot and paralyzed on the job in 1973. All of these monies have been awarded in the form of research grants to medical research facilities in New York with the effect that the state is today a national leader at the cutting edge of advanced neurological research. Mr. O'Neill has long been writing verses and stories celebrating members of New York's law enforcement community and chronicling their heroic struggle against violence and intolerance. His work has appeared in police publications and on web sites throughout the country and overseas. He is the author of a book of children's verses with a message of respect for law and law enforcement officers called Constantine's Circus. Mr. O'Neill is a prolific composer of music for the Highland bagpipe. His signature tune "Thomas A. Constantine" was published in the British Isles in 1996 by the Irish Pipe Band Association. Four years later, Tom Constantine was asked to play a leading role in ending over three decades of terrorist violence in Northern Ireland. 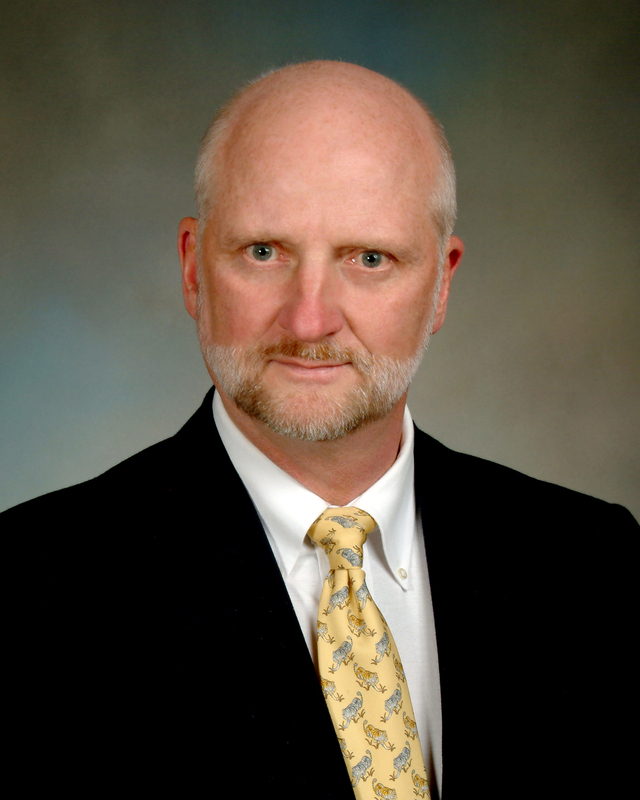 In recent years, Mr. O'Neill ventured into the academic world, having had the privilege of being associated with the Distance Learning Center of Empire State College, a subsidiary of the State University of New York, that serves many criminal justice professionals who are not able to attend full-time colleges. He developed and taught a variety of basic criminal justice and social studies courses. He has also served as a substitute teacher in the Albany School District interacting on a daily basis with the children of the city of Albany. In November 2007, Mr. O'Neill declared himself an independent candidate for election to represent New York's 104th Assembly District. He was nominated as the candidate of the Republican Party. Endorsed by the bipartisan reform group Responsible New York, he joined civic-minded fellow New Yorkers who share his commitment to responsible budgeting, real estate tax reform, campaign finance reform, government transparency and equitable distribution of economic development resources. He scored an impressive 21% of the vote against a long time incumbent in an overwhelmingly Democratic district. In July 2009, Mr. O'Neill began his second foray in electoral politics running as a Republican for Albany's Common Council representing the downtown 6th Ward. The 6th Ward abuts upon the Albany Medical College, which has received several generous research grants from the Spinal Cord Injury Research Grant Program, and the Rockefeller College Scool of Public Affairs and Policy where Tom Constantine has been a faculty member since his 1999 retirement. In campaigning for municipal office, Mr. O'Neill pledged to bring to his constituents a public safety strategy that represents a synthesis of progressive community, problem-solving and intelligence-led policing, community crime prevention and a fundamentally victim responsive philosophy. He also intends to work with local institutions of higher learning and research to generate a lively conference and convention business focusing on public security, transnational organized crime and advanced neurological research..
Mr. O'Neill remains pledged to work toward long overdue court reform, a new policy for controlling drugs of abuse, thoroughgoing reform of our state’s correctional system with emphasis on the reintegration of the tens of thousands of ex-offenders who return to our communities every year, advanced medical research focusing on the central nervous system and the renewed assertion of New York‘s pioneering tradition of leadership in exposing, confronting and defeating organized crime and terrorism. His vision for the economic future of the Capital District is founded upon advancing the prestige of the institutions of research and higher learning for which the Capital District is renowned. He also has a special commitment for the well-being of our military veterans and their families, many of whom have been affected by injuries sustained in their service in our current overseas conflicts. As the signature casualty of the current conflicts is traumatic brain injury, the result of the enemy's weapon of choice, the roadside bomb, O'Neill pledges to build upon the success of the Spinal Cord Injury Research Board Act of 1998 by making New York a leader in medical research on the central nervous system. At this time, Mr. O'Neill has devoted his energies and resources to supporting and maintaining all of the programs and initiatives with which he has been associated since he began his career withe the New York State Legislature in January 1984. That institution has been castigated by many as "the most dysfunctional in the nation." Mr. O'Neill does not believe that for a moment. He has seen too many positive things accomplished by that body over the past twenty-nine years to go along with that. At work in the offices of thwe Constantine Institute, Inc.